Now THAT'S how you celebrate your first birthday. We all know Jason Magbanua for his super romantic prenup and wedding videos–but baby birthday videos? Well, baby Olivia Manzano Reyes might just be the exception. 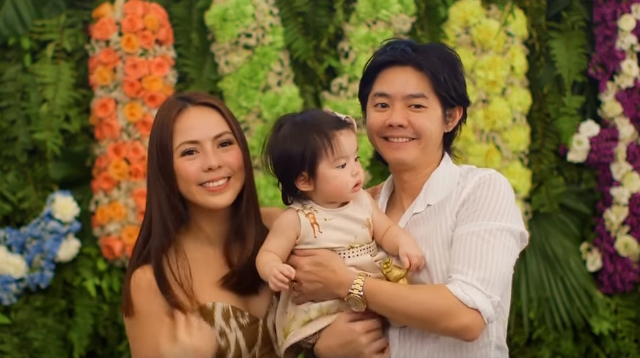 Last month, Andi Manzano and GP Reyes celebrated their unica hija’s animal themed first birthday at the fab Palace Pool Club (Thank you, daddy). Baby O’s wild party is now even grander ‘cause of master videographer Jason Magbanua. I mean, really, this baby has set the bar even HIGHER for birthday party goals! Watch baby Olivia’s fam and friends give their testaments of love for their precious girl.